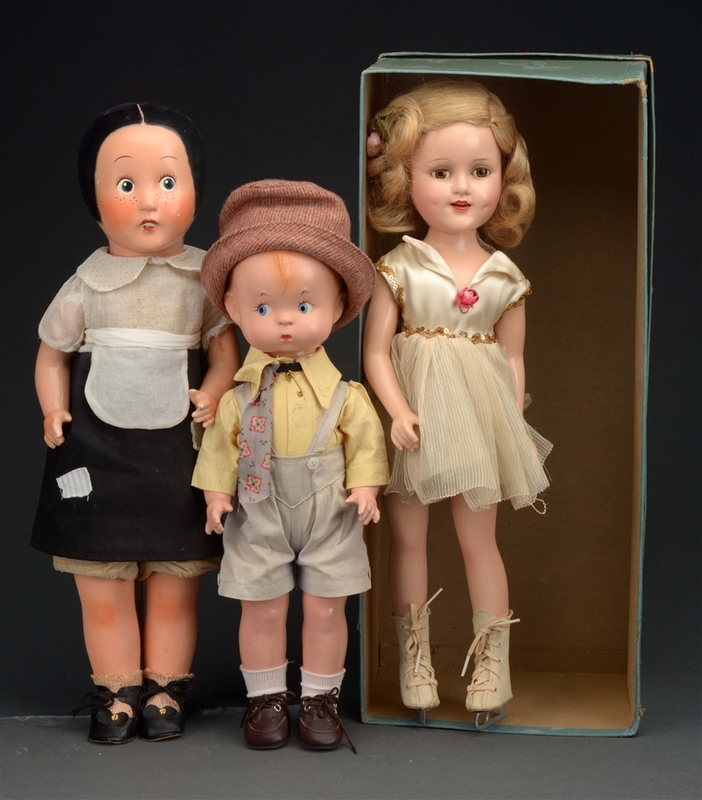 Lot #1001: Lot of 3: Sonja Henie, Skippy & Ella Cinders Dolls. 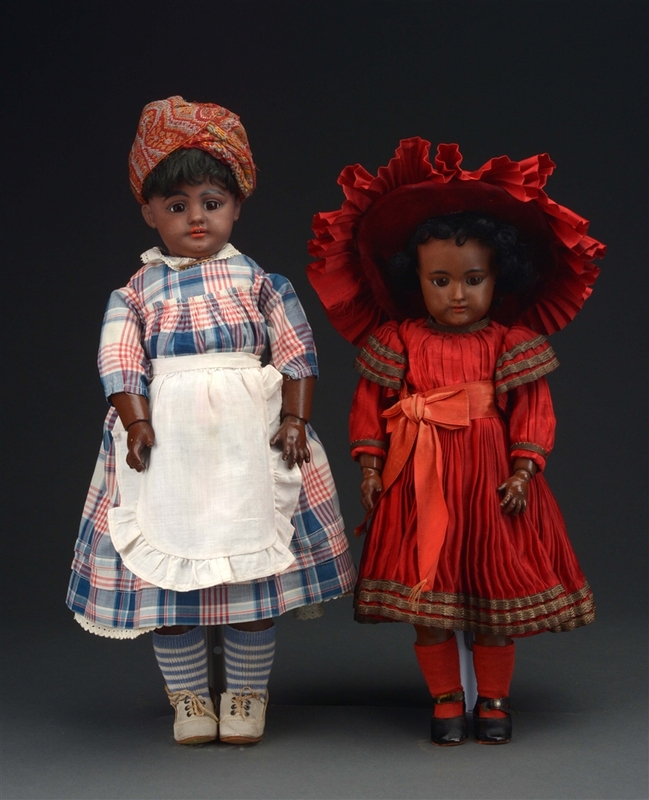 Lot #1002: Lot of 2: Simon & Halbig 739 and Heinrich Handwerck Black Bisque Dolls. 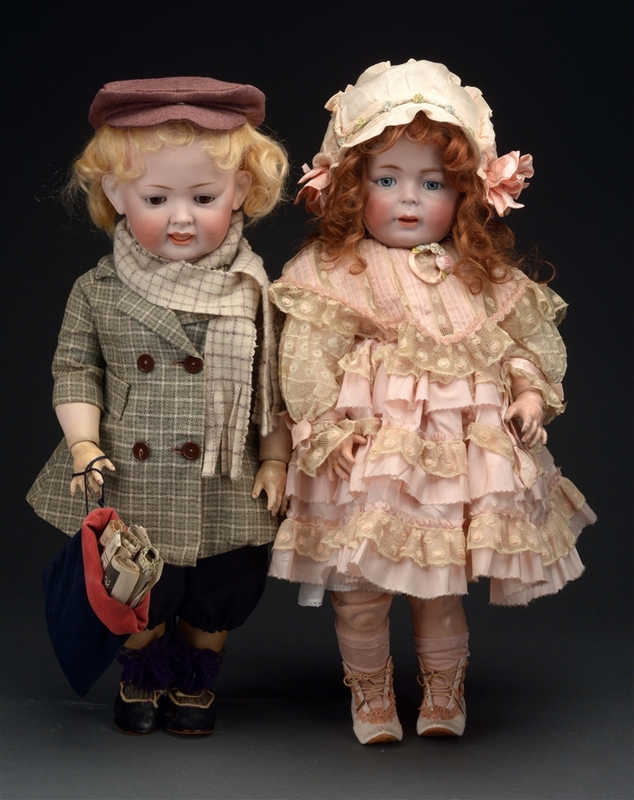 Lot #1003: Lot of 2: Armand Marseille Dolls. Lot #1004: Hertel & Schwab 173 Googley. 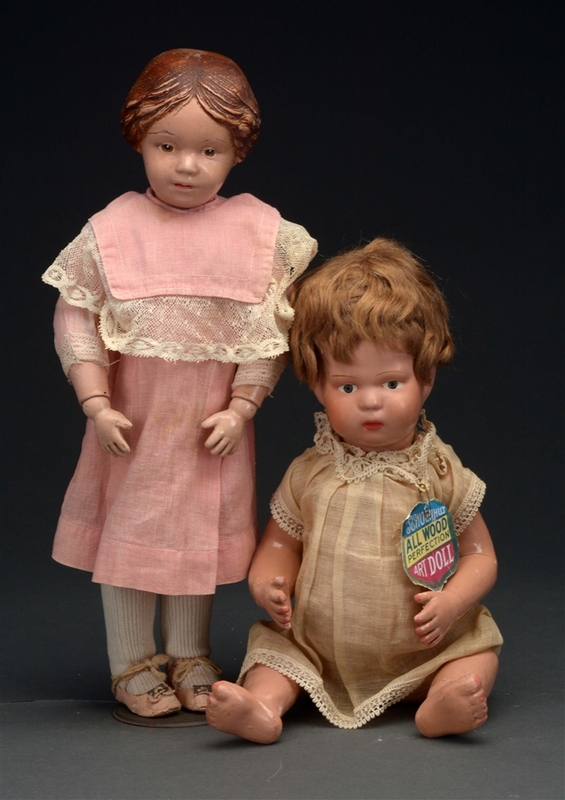 Lot #1005: Lot of 2: 7" Bonnie Babe & 9" HK Toddler Dolls. Lot #1006: 18" French Fashion Man. Lot #1007: 16" French Fashion Bebe. 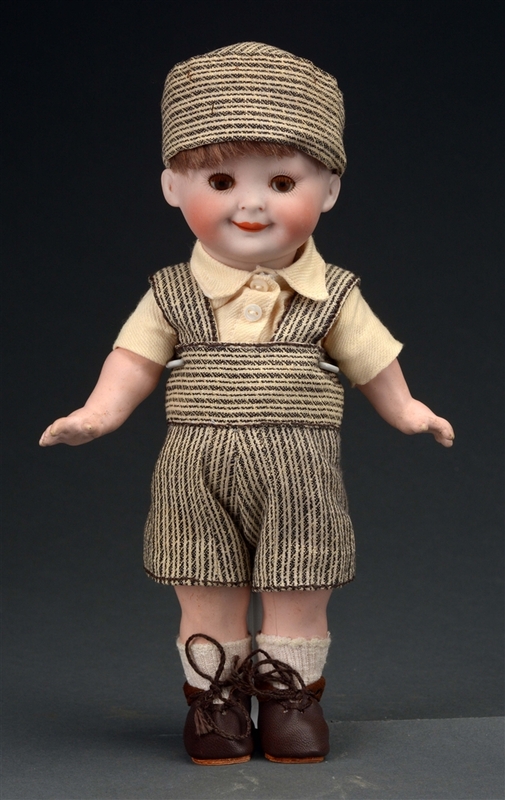 Lot #1008: Schoenhut 16" Character "403" Boy Doll. 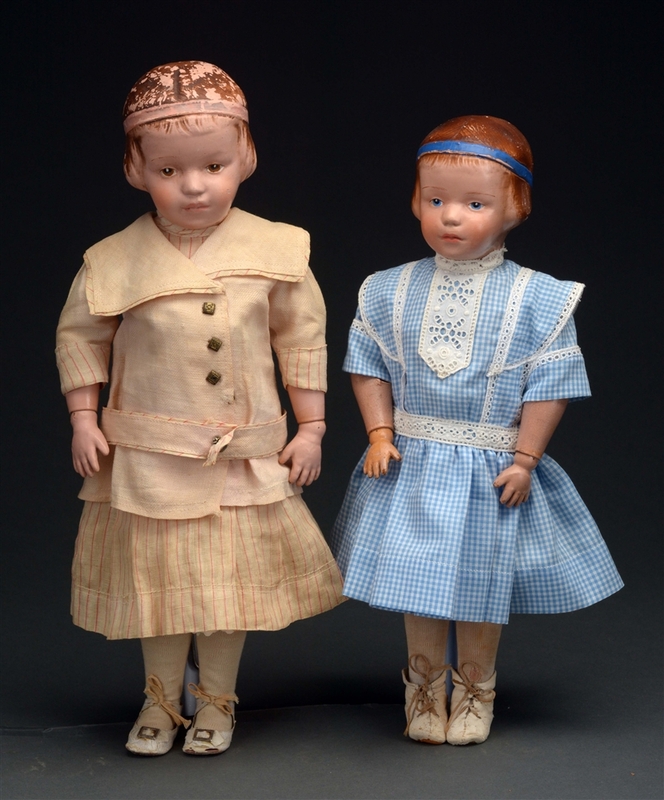 Lot #1009: Pair of Schoenhut Dolls: "102" Girl & a Bent Limbed Baby. Lot #1010: 13" Nursing Bru Bebe. Lot #1011: Bru Jne Bebe #5. Lot #1012: 17" Lenci Girl. Lot #1013: 18" Steiner Fre A Bebe. 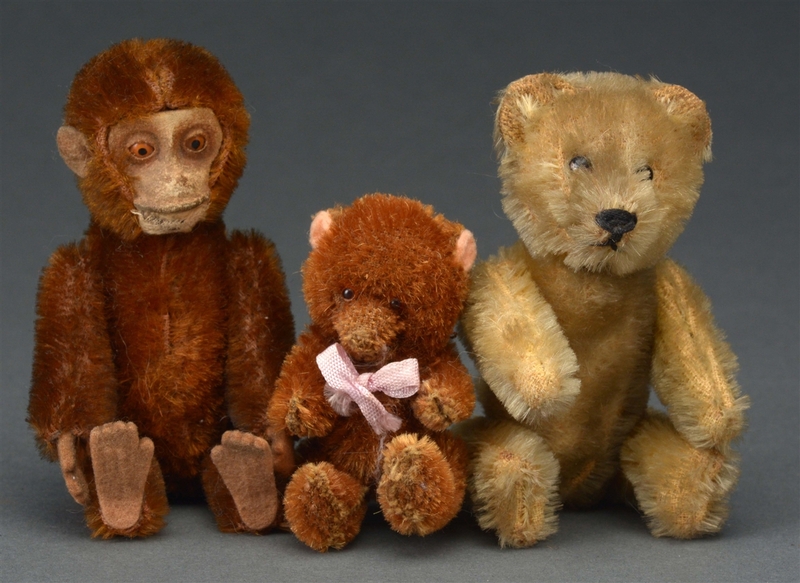 Lot #1014: Steiff Solider Doll. 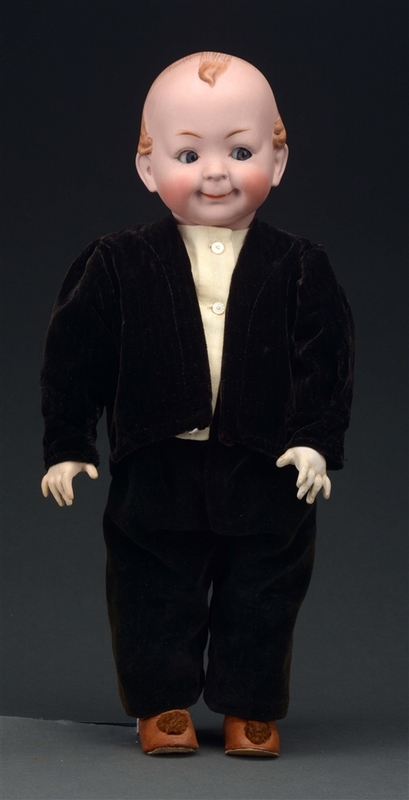 Lot #1015: Steiff Regional Boy Doll. 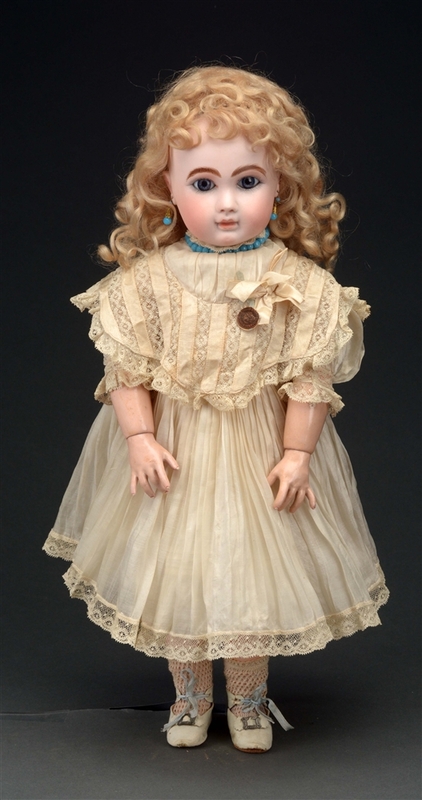 Lot #1017: SFBJ 237 Character Doll. 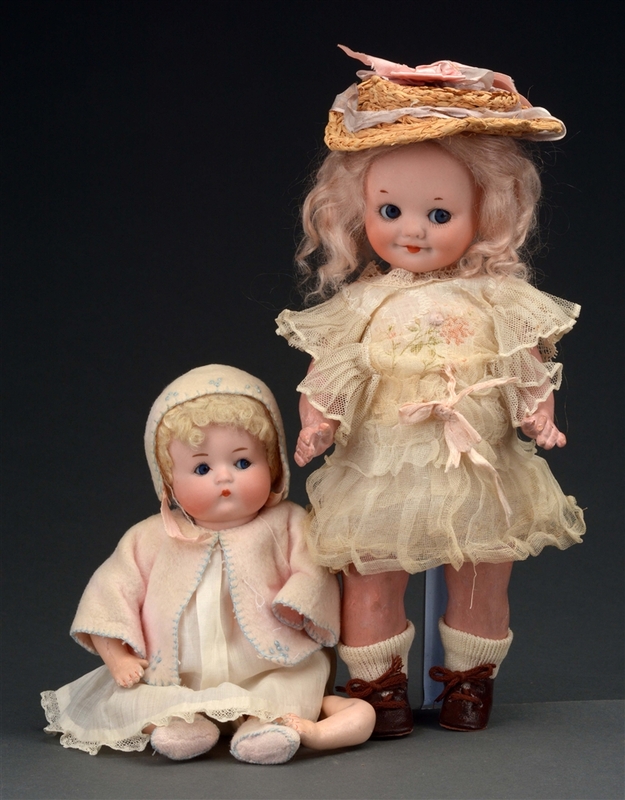 Lot #1018: Lot of 2: Rare Two Faced H & S Baby and A.M. 240 Googley. 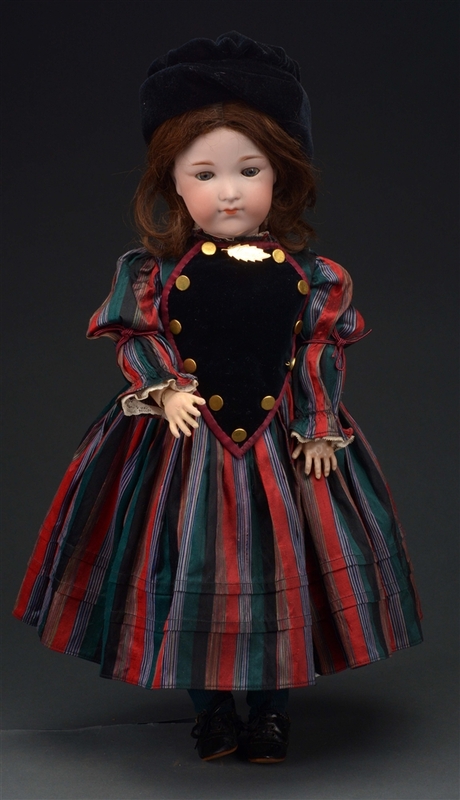 Lot #1019: 24" S & H 1329 Oriental Doll. Lot #1020: All Bisque Bye Lo Baby In Basket. Lot #1021: 15" JDK 189 Closed Mouth Character Girl. 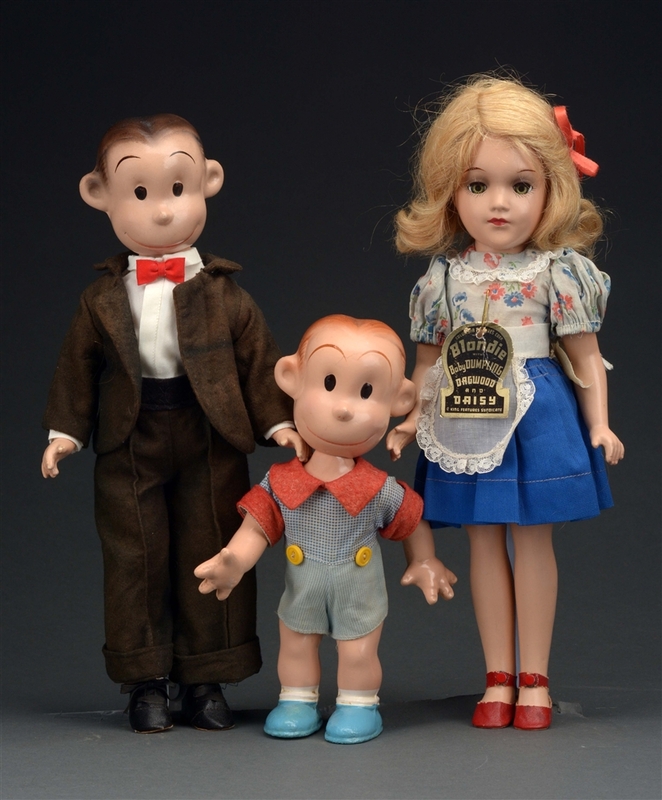 Lot #1022: 1488 Simon & Halbig Character Child. 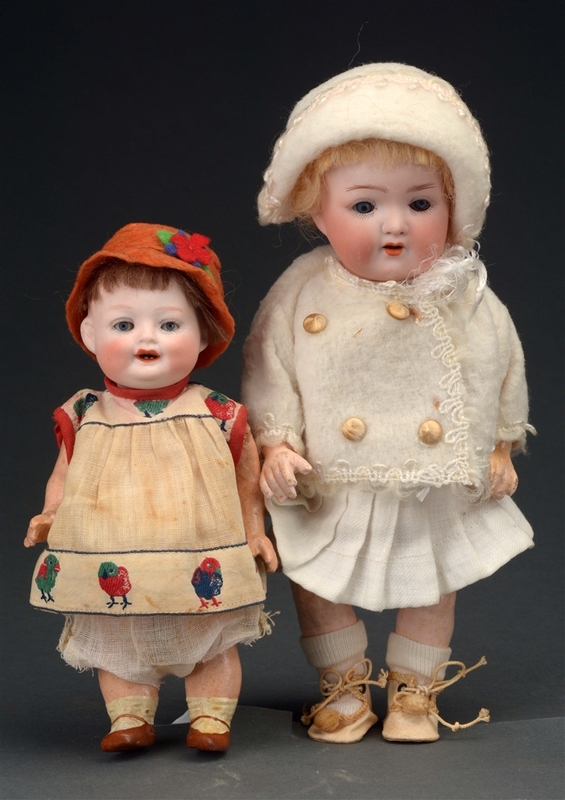 Lot #1023: Rabery & Delphieu Bebe. 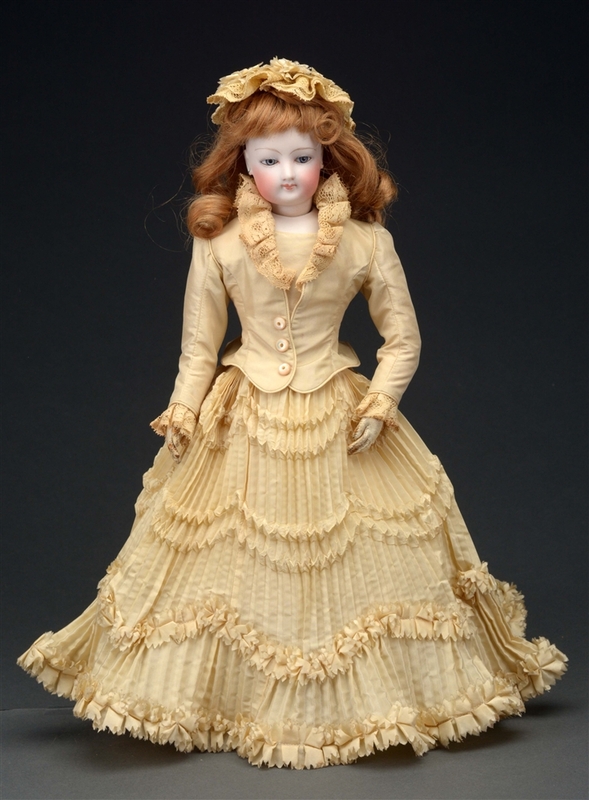 Lot #1024: Kestner Daisy Doll. 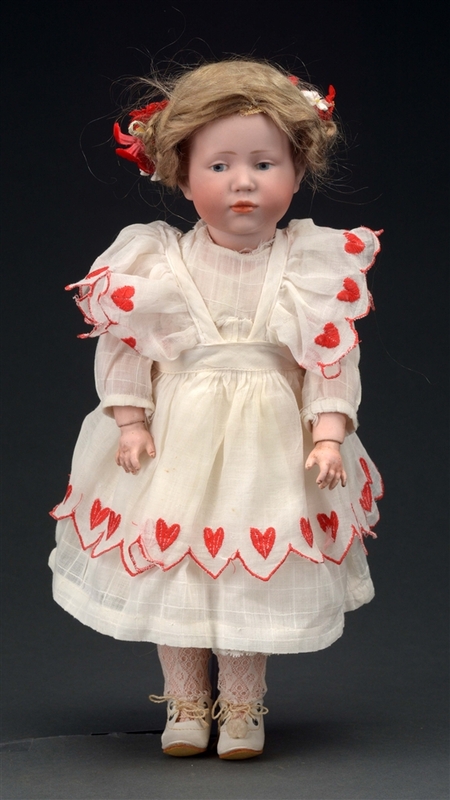 Lot #1025: Simon & Halbig Daisy Doll. 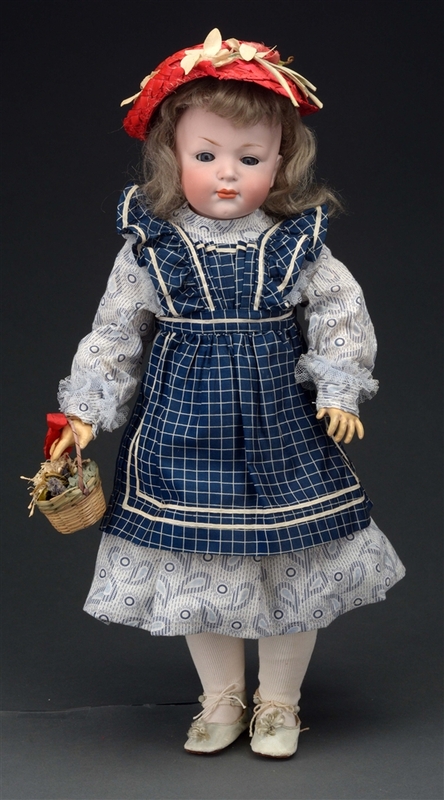 Lot #1026: Lenci Facist Youth Character Doll. 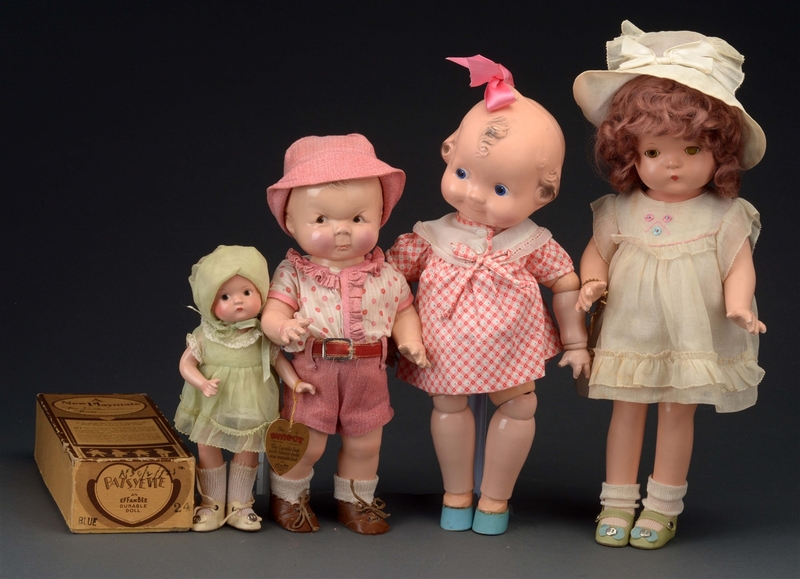 Lot #1027: Lot of 5: Lenci Dolls. 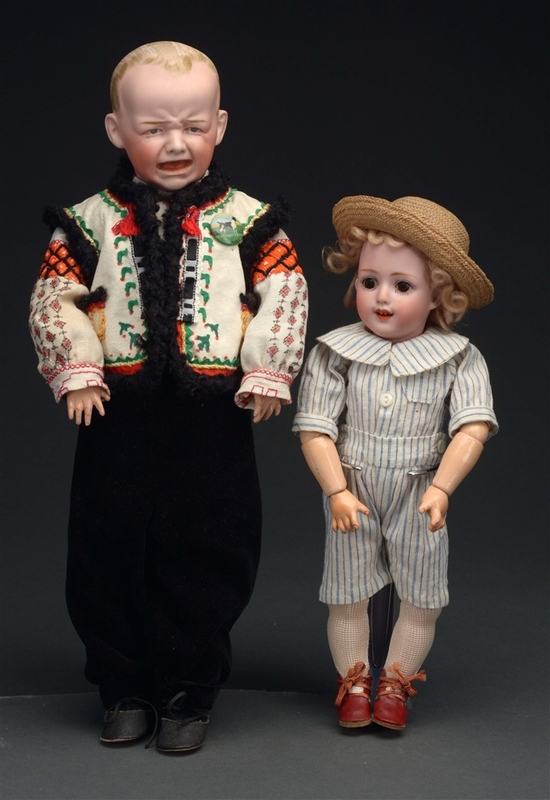 Lot #1028: Kammer & Reinhardt 117A "Mein Liebling" Doll. 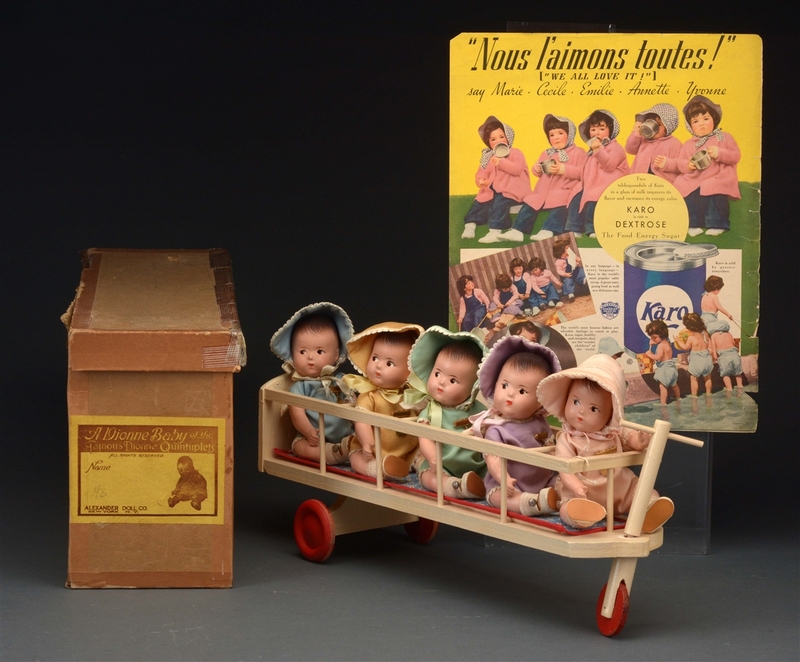 Lot #1030: Dionne Quintuplets in Cart with Original Box. 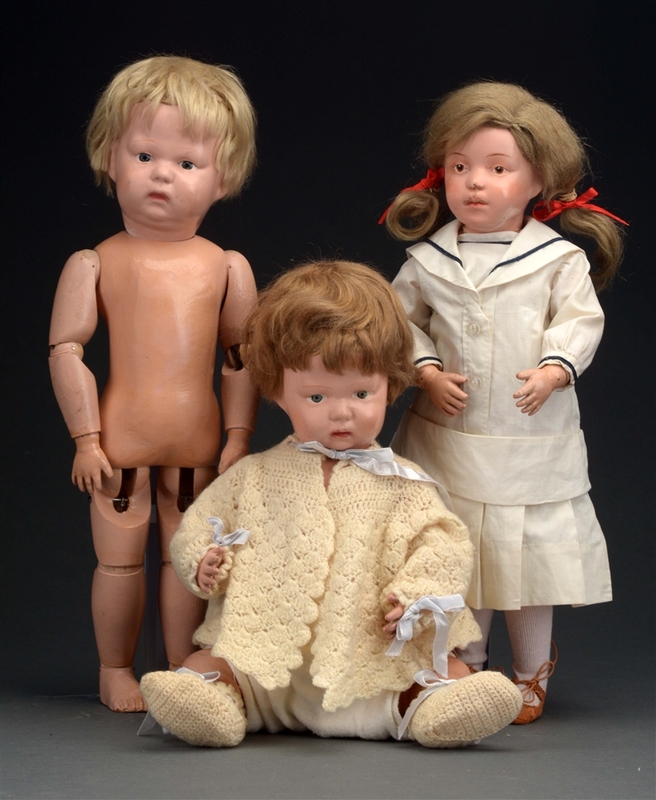 Lot #1031: Set of 3: Rare 1930's Blondie Comic Strip Character Dolls. 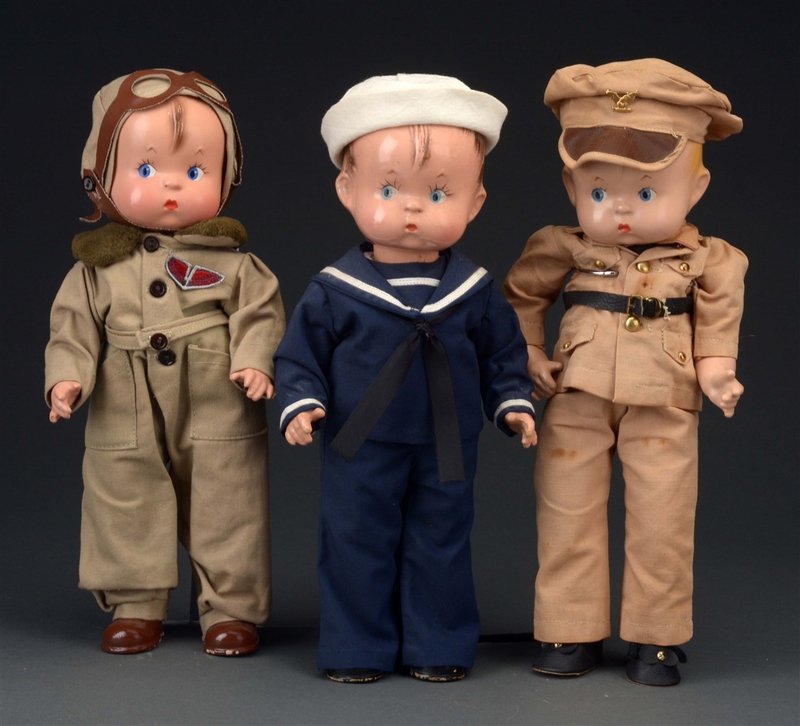 Lot #1032: Lot of 4: American Composition Dolls. 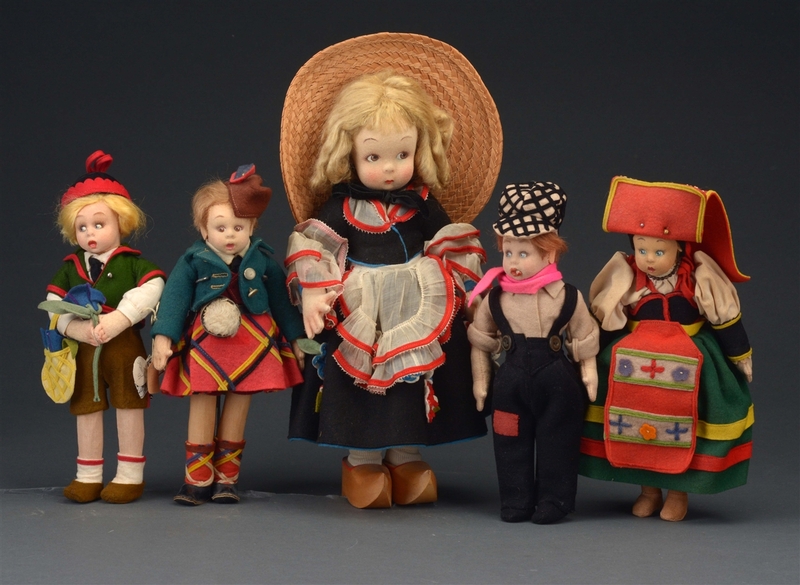 Lot #1033: Lot of 3: Kammer & Reinhardt Dolls. 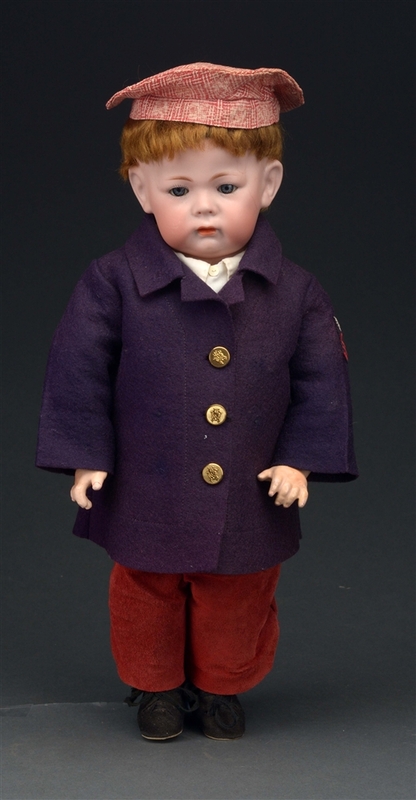 Lot #1034: 18" Hertel & Schwab 134 Character Child. 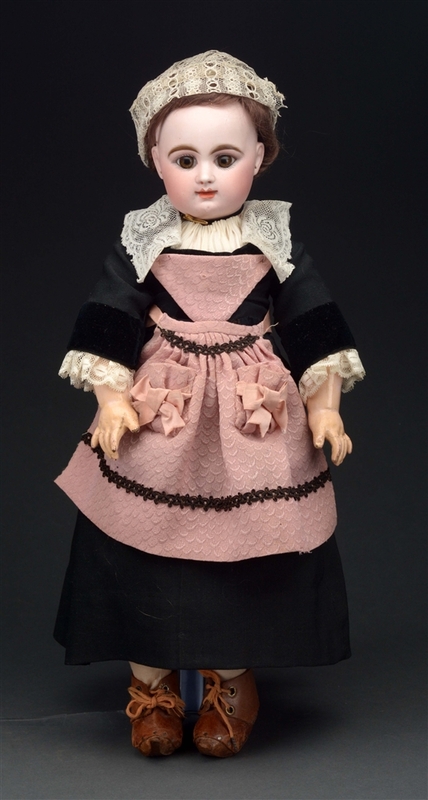 Lot #1035: Rare Kestner Black Hilda Toddler. 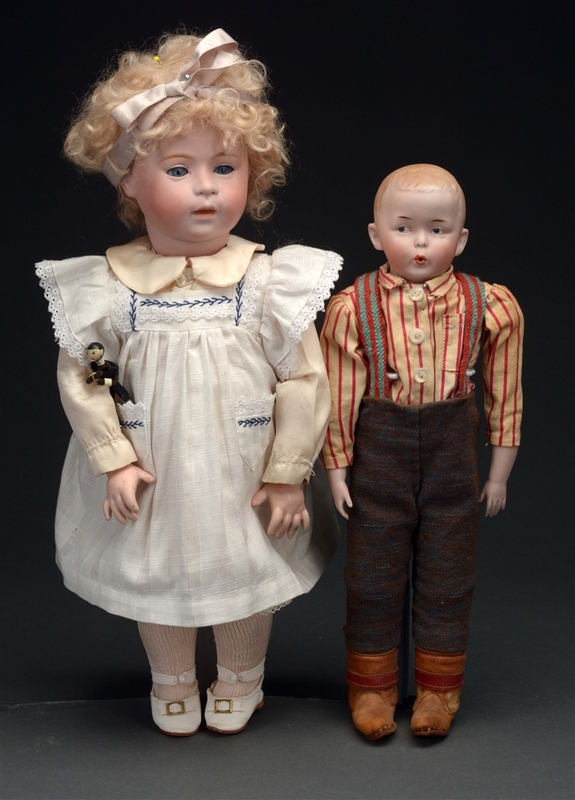 Lot #1036: Kammer & Reinhardt Marie Doll. Lot #1037: Lot of 2: Swain & Co. DIP and Heubach Whistling Jim. 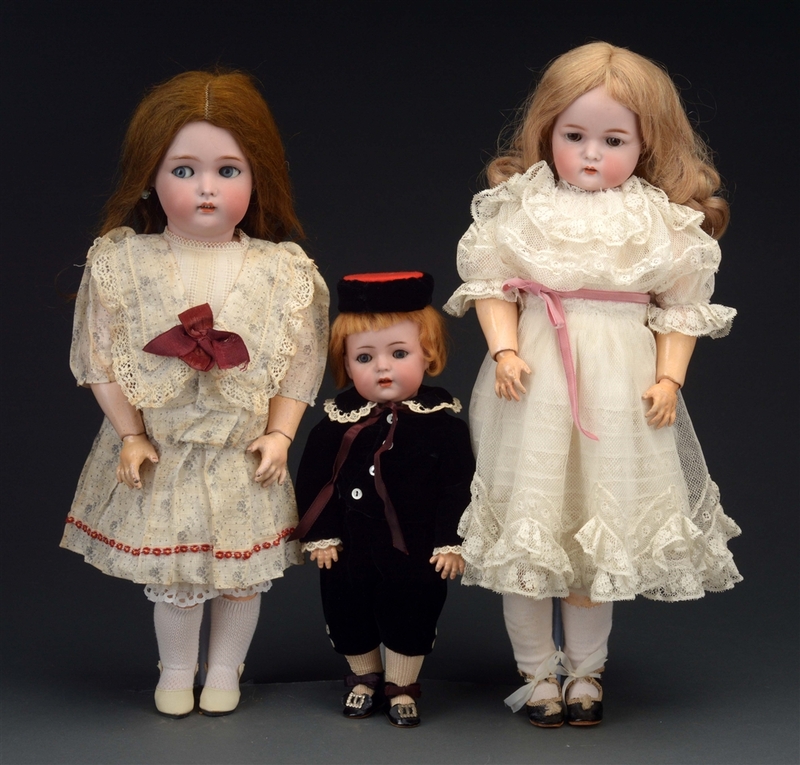 Lot #1038: Lot of 3: Simon & Halbig and Kestner Dolls. Lot #1040: K*R 115A "Phillip" Toddler Character Doll. Lot #1041: Lot of 2: S&H Erica and K&H Toddler. 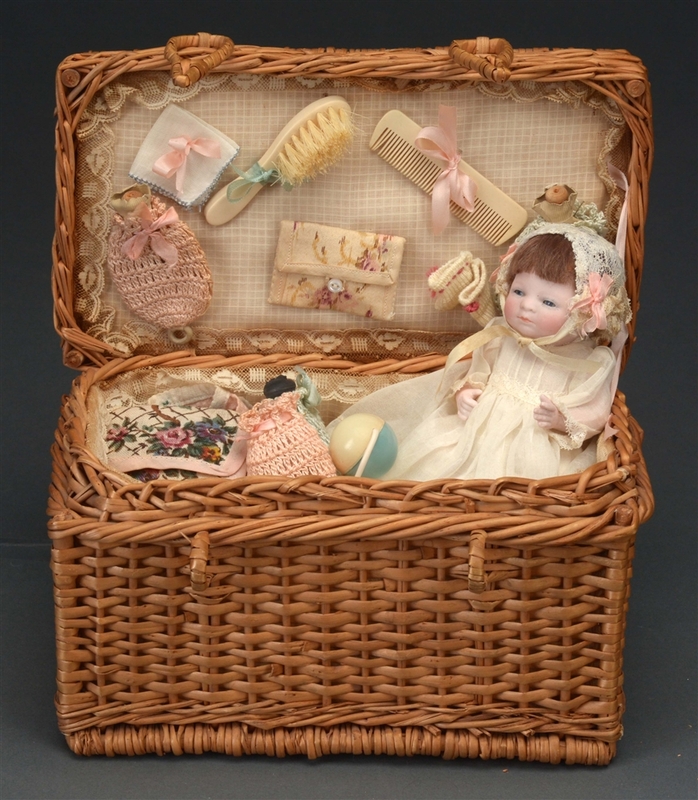 Lot #1042: All Original DEP Doll w/ Trousseau in Presentation Box. 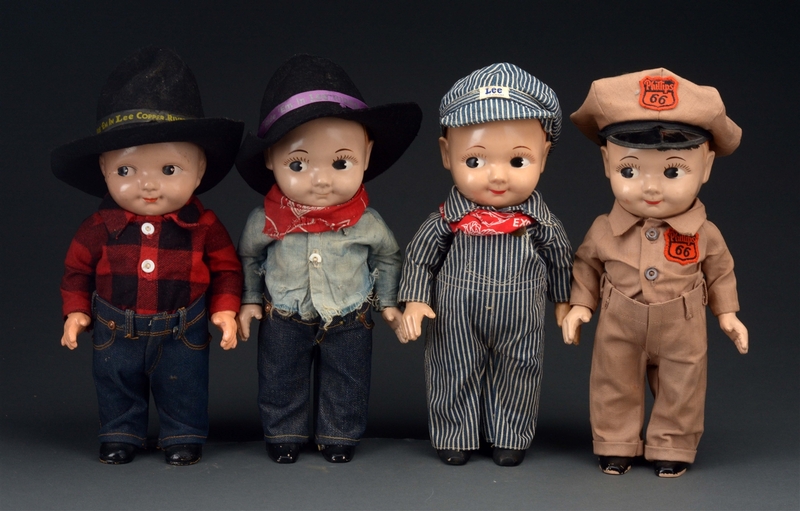 Lot #1043: Lot of 4: Buddy Lee Dolls. Lot #1044: Lot of 3: Effanbee Skippy Dolls. 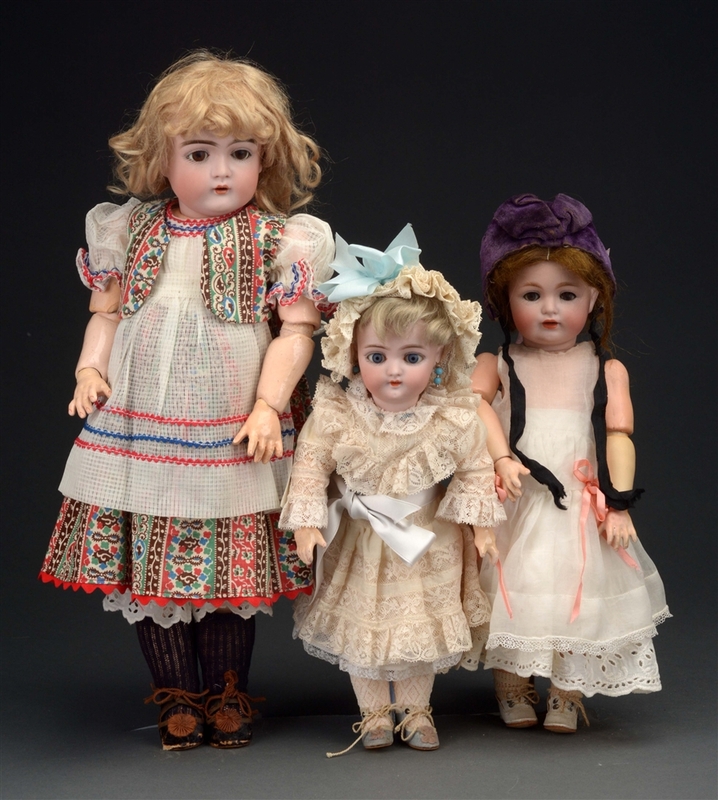 Lot #1045: Lot of 3: Schoenhut Dolls. Lot #1046: Lot of 2: Schoenhut Carved Hair Girls. Lot #1047: Tete Jumeau #8 Bebe. Lot #1048: 21" A.M. 400 Character Child. 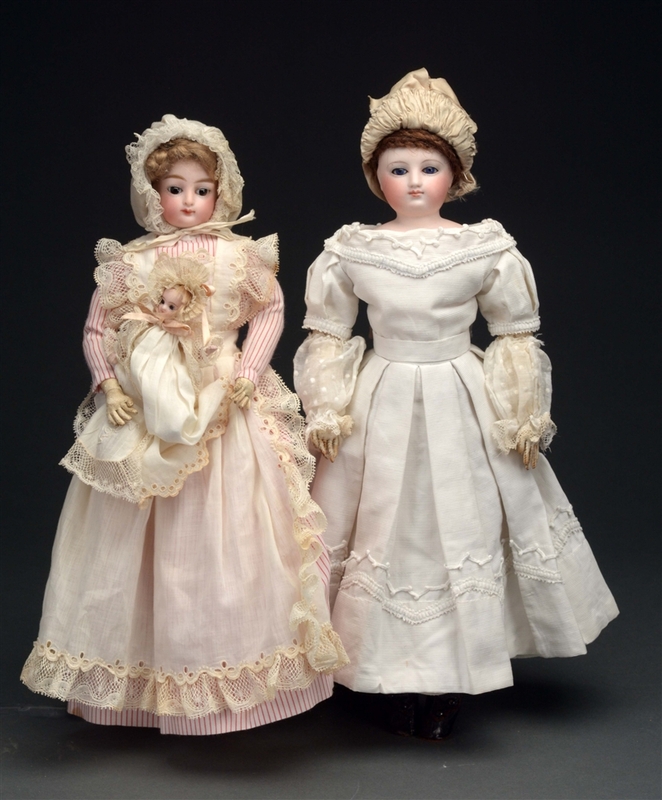 Lot #1049: Lot of 2: French Fashion Dolls. 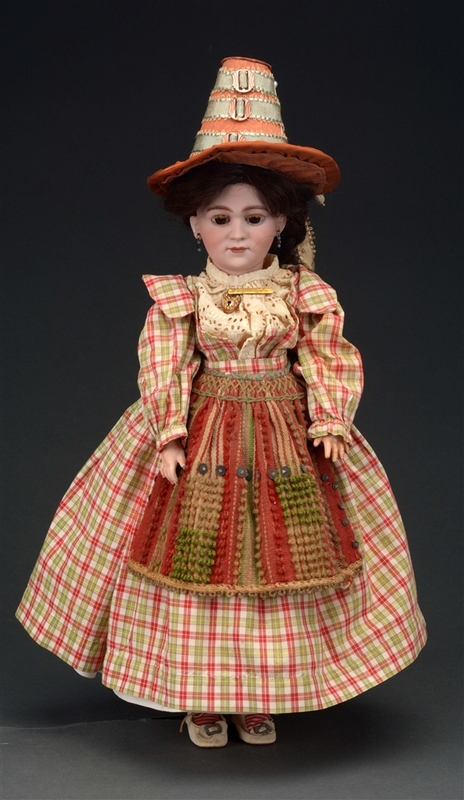 Lot #1050: Rare Simon & Halbig 1303 Character Lady Doll.